If Becky Bloomwood is real, she would absolutely be my best friend. The way she speaks about shopping at stores are on point. Everytime I read Sophie Kinsella's books, I so agree on how she defines going into boutiques after another. 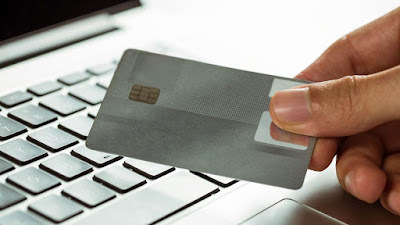 But if Becky Bloomwood is ever real, I would also tell her that she doesn't have to bury herself in debt because there are Groupon Coupons available online, and they are free! Siblings Solenn and Erwan Heussaff takes on the challenge last Saturday at the Milo #NUTRIUPYourGame event at the Glorietta Main Activity Center in Makati. The competition got fierce and heavy in an exciting showdown of fitness and endurance. 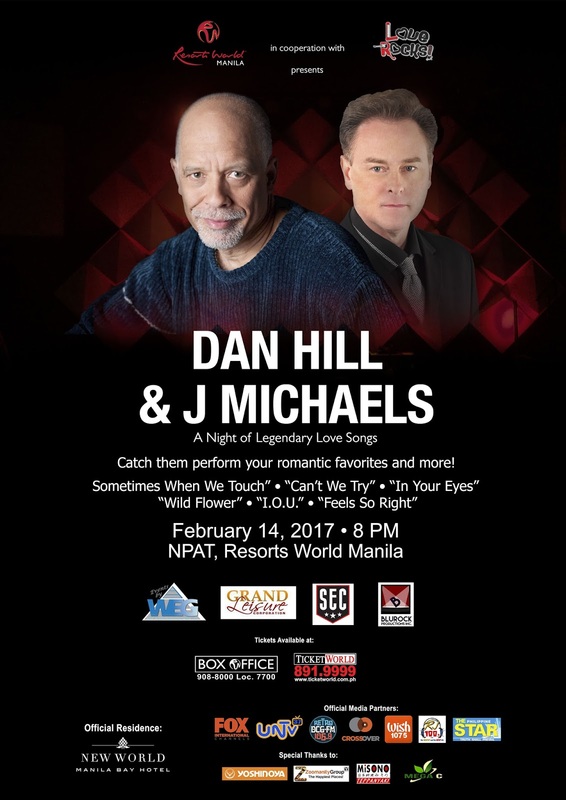 Grammy winning International Artist DAN HILL returns to Philippines for a Night of Legendary Lovesongs this Valentine's Day, February 14, 8:00pm at Resorts World Manila, Newport Performing Arts Theater. 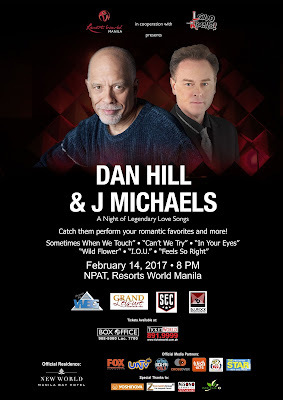 J Michaels will also be returning to NPAT as co-headliner and host of this Valentine’s “Love Rocks!” concert series. 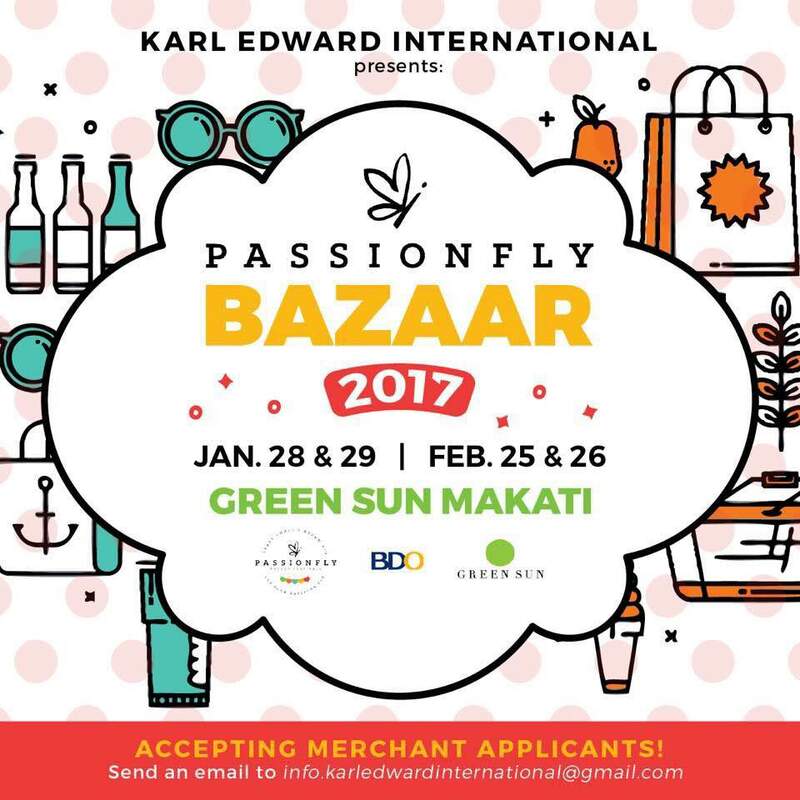 Score the best weekend finds this Chinese New Year as Karl Edward International invites you to the first “Passionfly” for 2017! You can enjoy shopping at The Axon, Green Sun, Makati on January 28-29, 2017 from 11AM-7PM. I must have been a mermaid in my past life. 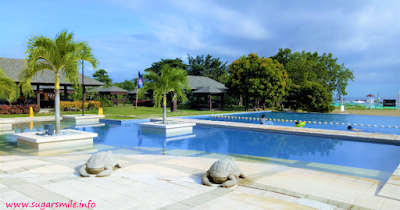 Swimming in December? Why not? I have always been a “beach” person. I don’t think I would pass the opportunity to relax, hear the waves, bond with friends and just enjoy the waters. Before Christmas, I spent the day at the beach and was so happy to go on a trip at Playa Laiya, Batangas - a three hour drive away from the hustle and bustle of Manila. 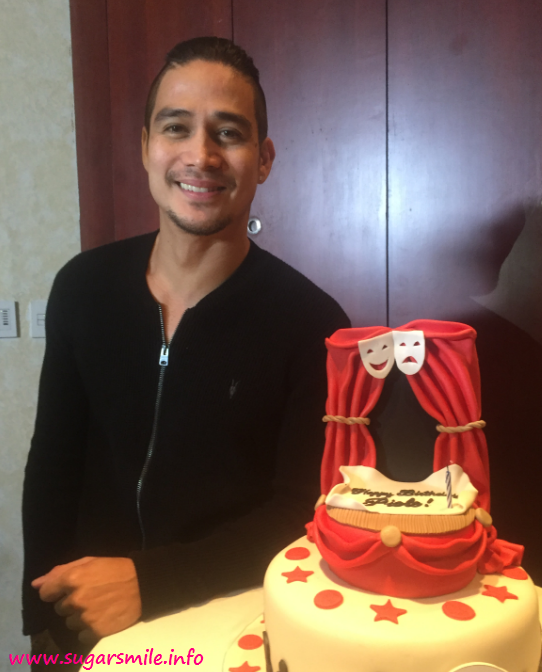 THE ULTIMATE HEARTTHROB - No other person comes to mind when we speak about the most sought after bachelor in the country than Piolo Pascual. And this 2017, he starts the year with a bang as he turns the big four zero. Happy 2017 everyone! 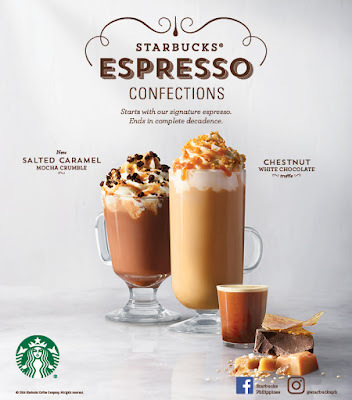 Last year has been all things fun with Starbucks and their offerings have all been the blast! 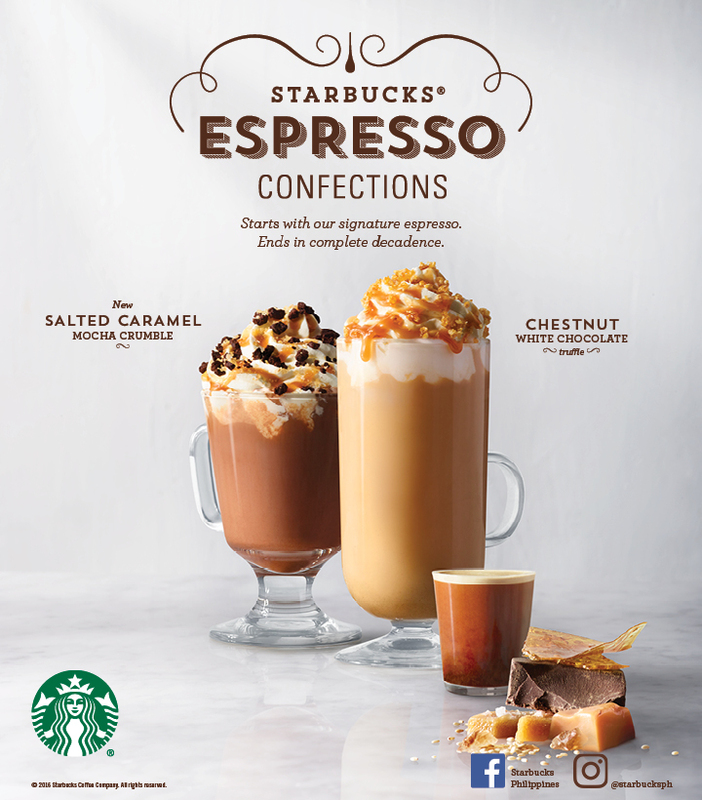 This year, Starbucks Philippines introduces new drinks, food, and even a new Starbucks Card. Being able to say "Thank You" is rewarding. This 2016 has been a season of gratitude for being able to achieve my goals, fulfill lifelong dreams and meeting the greatest people. And even though the year went by so fast, it brought me a lot of life and love lessons. How did you start your New Year? 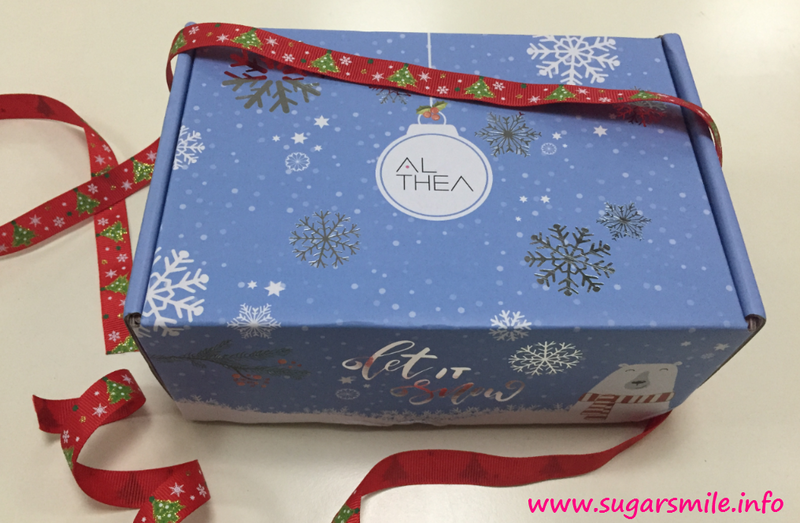 Mine literally started shining, shimmering and splendid because of the Althea Holiday Glitter Box! How so, you might ask? Before the clock struck 12, I was wearing the products that are curated in this special beauty box, filled with the best Korean Beauty products, especially picked by the Althea Team. So if you want to know more about my glimmery look, read more below.